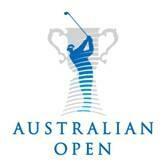 Australian Open is a professional golf tournament and part of the PGA Tour of Australasia and OneAsia Tour. The current prize money of this event is $ 1,500,000. The tournament is also the National Open golf tournament of the country. The tournament was started in year 1904 and held annually. Michael Scott won the inaugural Australian Open and again won the tournament in 1907. The tournament is played in the city of Sydney (Australia) at The Lakes Golf Club, which is the most prestigious private golf club of Sydney. The inaugural edition of the Australian Open was won by Michael Scott. Gary Player of South Africa has won the event most number of times. He won the Australian Open seven times. Legendary golf player Jack Nicklaus won this event 6 times.